CHISINAU, February 25. /TASS/. Observers representing the Executive Committee of the CIA Inter-Parliamentary Assembly did not record any serious irregularities during the parliamentary election that took place in Moldova on Sunday, the mission’s members said at a final press conference on Monday. "We recorded minor irregularities that could not influence the vote’s outcome," said CIS First Deputy Executive Secretary Viktor Guminsky. He read out a report saying that the Moldovan parliamentary election had been held in accordance with the country’s constitution and electoral code. "The election was competitive and open. The Central Election Commission and lower-level election commissions ensured the people’s right to freely express their will," Guminsky noted. 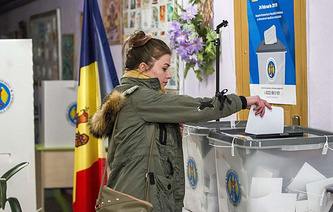 The February 24 parliamentary election in Moldova was held under a combined electoral system: 50 lawmakers were elected on party lists and another 51 in single-seat constituencies. According to the country’s Central Election Commission, the Party of Socialists of the Republic of Moldova has gained 31.33% of the vote, the ACUM opposition bloc got 26.44%, the current ruling Democratic Party is third with 23.82% and the Sor party garnered 8.38%. As of now, 98% of the vote has been counted by Moldova’s Central Election Commission.